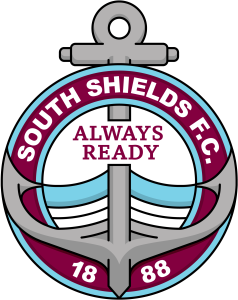 South Shields have been warned they face a tough battle as they bid to claim a place in the final of the Durham Challenge Cup on Tuesday. The Mariners are away to Northern League leaders Dunston UTS in the semi-final of the competition, which they last won in 2017. Chris Swailes’ Dunston have enjoyed a tremendous season and are heavy favourites to win promotion from the Northern League, where they hold a seven-point lead at the top with a game in hand. Shields may operate in a league two levels above Dunston, but joint manager Graham Fenton knows just how difficult a night his team is in for. He said: “It’s a semi-final and we want to win. “I know Swaz (Chris Swailes) will want to win the game as well and it will be a tough one. “We went to watch their game against Gateshead in the quarter-final, and they’re top of the Northern League for a reason. “By no means are we going to turn up thinking it’s a foregone conclusion. Shields returned to winning ways in the league on Saturday with a 2-0 success at Bamber Bridge. They are expected to make some changes for Tuesday’s game, but Fenton will be looking for a similar sort of performance. He added: “It was a brilliant away performance. “We asked the lads for a balanced performance in terms of knowing when to throw a few bodies forward and when to defend, and we generally got it right. “It was a really pleasing away performance, especially considering Bamber are good at home. “We were disappointed to drop two points against them a fortnight earlier when we let a 3-1 lead slip. “We were 2-0 up at half-time on Saturday and said that we were in the same situation and couldn’t let that happen again. “To a man including the subs, everyone was brilliant in terms of sticking at it and making sure they didn’t get any clear-cut chances. Shields could welcome back left-back Anthony Callaghan, who has missed 14 months of football with a back injury. They are expected to still be without Gary Brown, while Barrie Smith and Carl Finnigan continue to miss out with their long-term knocks. Kick-off at the UTS Stadium – which has a post code of NE11 9JL – is at 7.30pm.